Bakersfield is the place to host a world class event. 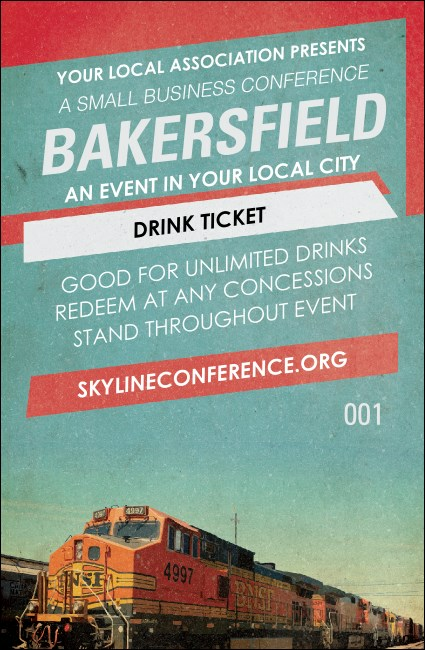 Keep your guests hydrated and full and manage concessions with ease with the Bakersfield Drink Ticket. This beautiful ticket will make your event the envy of Kern County with its gorgeous graphics and security features, including secure, sequential numbering. TicketPrinting.com's design gallery offers local designs, nationwide.